Thank you so much for your interest in our services and for taking the time to review our enrollment information. 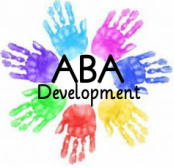 If you are new to ABA Development, please complete the enrollment steps listed below. Our staff will evaluate your request for services within 5 to 10 days of receiving your online forms (2) and child's IEP. ​If we can provide applicable services, we will contact you to schedule a tour. Our ability to provide services depends on the needs of your child, the age of your child and if open spots are available for new participants. If we’re unable to schedule services at this time, your child will be added to the waitlist. ABA Team may request to move your child to another group based on his / her needs.